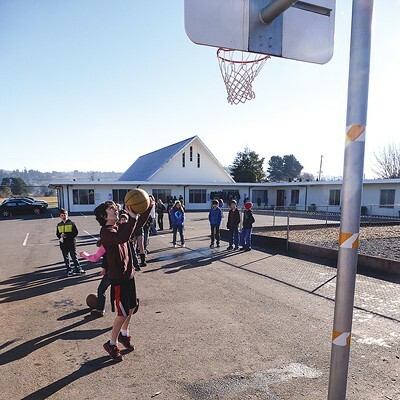 On a brisk and blazing-bright Monday morning, school kids frolic on the playground of Redwood Preparatory Charter School in Fortuna. Fourth, fifth and sixth graders in sweatshirts scamper through the wood chips around the swing set, tromp across the giant tractor tires laid flat in the grass and lob basketballs in rainbow arcs toward the iron hoop. In the winter sun their elongated shadows dance across the asphalt and their breaths form steam plumes that evaporate in laughter. Since opening in fall 2011, Redwood Prep school has been housed at Fortuna Church of the Nazarene, on a hill just south of town. With donations of time, money and labor from parents and staff, the chapel's ancillary rooms have been converted to classrooms and the small playground at the back of the parking lot has been tricked out with handmade picnic tables, a drinking fountain and new equipment. A few kids are distracted from their play by a reporter with a camera and a notebook. "Are you the news?" asks a tall girl in jeans and a blue hoodie. In seconds a crowd has formed, more than a dozen confident and bright-eyed kids eager to explain why their school is so awesome. "There aren't as many people. ... It's smaller. ... Our teachers are really nice. ... You can eat whatever you want." They're talking over each other, excited and hollering to be heard. "Technology!" shouts another girl. (Was that Charlotte, the fifth grader? Or Katie from sixth?) "We have 40 laptops and 25 iPads," she brags. One of the boys (Jack? AJ? Trey?) makes eye contact and says, "We have a really good, like, relationship with our teachers." "But we have a lot of responsibilities," explains another. "We have to earn our privileges." Those privileges are in demand -- not just by students but by their parents, too. A smaller girl in a puffy pink jacket seems to appreciate this. "We have, like, a big waiting list," she says proudly. So 11 kids got in through the lottery. Roughly 40 others were turned away. The school's charter document and parent handbook lay out a high-minded educational philosophy, describing a school where college-bound kids are held to rigorous academic standards while learning the importance of social responsibility, emotional development and community involvement. The school day lasts nearly an hour longer than at traditional schools, and each family commits to 30 volunteer hours per year. According to the charter, students develop long-term relationships with teachers who tailor their approach to each child's needs. While Redwood Prep's enterprising methods have proved popular, some in the community are less than happy with the impact the school has had on the rest of the district. The grumbling began even before Redwood Prep opened its doors. The five women who founded the school all used to work at Ambrosini Elementary, a K-4 traditional public school in the same district. (Both schools were part of the Rohnerville School District until it was consolidated with the Fortuna Union Elementary School District last July.) As the women began developing the charter, one had been laid off -- a result of funding cuts and deferrals, declining enrollment and her lack of seniority. Not long afterward, three of the other four were also given pink slips. Now they've started their own school, and some of the teachers who remain at Ambrosini feel bitter. When parents started pulling their kids out of Ambrosini in favor of Redwood Prep, a lot of veteran teachers were laid off, according to Fortuna Elementary School District Superintendent Dr. Patti Hafner. With the charter school siphoning off students, Ambrosini lost scarce state funding, which is based on average daily attendance numbers. "They laid off eight or 10 people who had been teachers for a very long time. We're talking years. That's where a lot of the hard feelings came from originally." Lisa Jager, the director of Redwood Prep, disputes that account, saying staff cuts would have been made regardless of the charter school, and indeed some of the teachers were laid off well before planning had even begun for the school. "Lawyers were involved and the whole school atmosphere was very tense," she said in an email. Regardless, many in the community are now complaining that Redwood Prep is elitist, attracting mostly wealthy, well-educated families and exploiting their resources to buy iPads and take field trips while the traditional public schools are left to deal with the learning disabled kids, the poor kids, the English learners and other students who require more resources and tend to score lower on standardized tests. Last school year those resentments mostly simmered in private conversations. But in the fall, that all changed. Administrators at Redwood Prep approached the district with a request. The school, they said, was growing. It began as a K-5, but this year it's a K-6; the plan is to keep adding one grade level per year until 2014, when it will be K-8. Attendance is now up to 125. Teachers and students are running out of room at Fortuna Church of the Nazarene. It was time to invoke Prop. 39. Introduced by ballot initiative in 2000, Proposition 39 requires every school district in the state to provide facilities for any charter school that has at least 80 full-time, district-resident students. The reasoning goes like this: Charter schools may be run privately, but they're publicly funded and thus still considered public schools. And all public school students in a district should be entitled to reasonably equivalent classrooms and other facilities. And so here was Redwood Prep, asking for space either at Ambrosini or one of the district's three other traditional public schools. Ideally, administrators said, they could use 10 classrooms, an office and a large auditorium/multi-purpose room. Prop 39 dictates that the request must be granted; Redwood Prep is entitled to space. The Fortuna Elementary School District Board has yet to determine exactly how to accommodate the request. A six-person committee has been formed -- with an administrator, a teacher and a board member from both Redwood Prep and the traditional schools -- to examine the possibilities. But while these bureaucratic accommodations proceed in an orderly fashion, a number of parents and teachers in the district are positively livid about what's happening. They're outraged at the prospect of having to make room on their own campuses for the school that stole some of their brightest kids and caused some of their best teachers to be fired. They're incensed at the idea that their kids will be forced to rub shoulders with the iPad-toting, field-trip-taking rich kids of Redwood Prep. They've shouted their displeasure at recent district board meetings, where the crowded gatherings have devolved into tears, accusations and ultimatums. 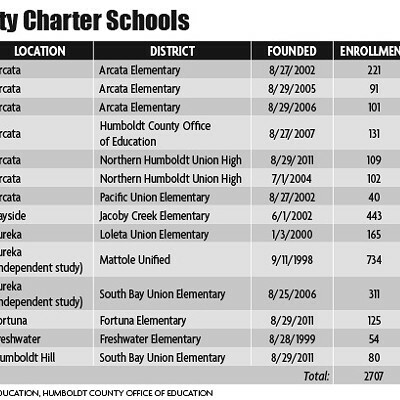 In a county where charter schools have proliferated -- we now have 14 with a combined enrollment of 2,264 -- parents and educators in Fortuna are struggling to figure out how to coexist with their first one. And that struggle is stirring up a host of issues ranging from class to race to privilege, all swimming around one core concern: the education of their children. When lawmakers passed the Charter Schools Act of 1992, California became just the second state in the country (after Minnesota) to embrace this model of publicly funded but privately operated education. The idea was that by allowing charters more autonomy over student curriculum, the state would encourage innovative teaching methods, expand options for parents and students and "provide vigorous competition" with traditional schools as a way to stimulate improvements across the board. The law says special emphasis should be placed on expanding learning opportunities for kids identified as "academically low achieving." Another key component? Charter school teachers aren't unionized, so they can be fired for poor performance, unlike at traditional schools where tenure makes dismissing bad teachers challenging. Charter school teachers are also cheaper. "Our staff took huge pay cuts" to start the charter, Jager said. Salaries at traditional schools in the county range from $28,400 (for a first-year teacher in Orick) to $73,300 (for a well-educated teacher with 30 years' experience in the Northern Humboldt Union High School District). Salaries at Redwood Prep range from $30,000 to $42,000. There are now 5,618 charters in the country, educating more than 2 million K-12 students. In California, one in 10 public schools is now a charter school (though their enrollment accounts for less than 4 percent of the state's total). 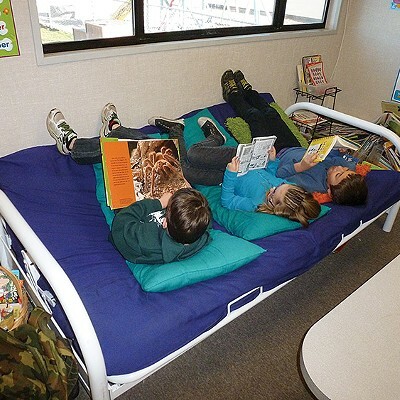 Here in Humboldt County, our 14 charters offer a wide variety of approaches -- Spanish immersion at Fuente Nueva; creative freedom at Redwood Coast Montessori; an international baccalaureate program at North Coast Preparatory and Performing Arts Academy, and more. Jager is the director of the newest addition to the bunch, Redwood Prep. In a recent interview at the charter's office she said that the five founding women, who began working on the charter in 2010, share a common philosophy. All five were trained in the RTI (response to intervention) model, which emphasizes identifying kids with challenges as early as possible to help them improve. "We wanted to work in a collaborative manner with families and children and to really push a project-based learning philosophy," Jager said. She believes traditional schools are being "strangled by politicians." And even though she's the only founding member who had enough seniority at Ambrosini to avoid being laid off, she still didn't approve of the system. "What's happened throughout the state is there are a lot of passionate, young, enthusiastic, knowledgeable teachers who were let go because of budget cuts." 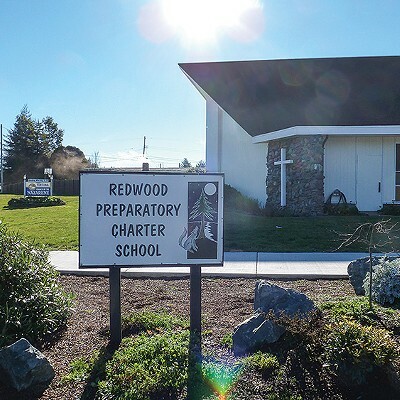 Demand for Redwood Prep was high from the beginning. The founders expected to start the school with 75 students, but after months of recruitment efforts -- including visits to preschools and sporting events, ads in the Times-Standard and Humboldt Beacon and fliers distributed around town -- the families of 102 aspiring students were lining up. 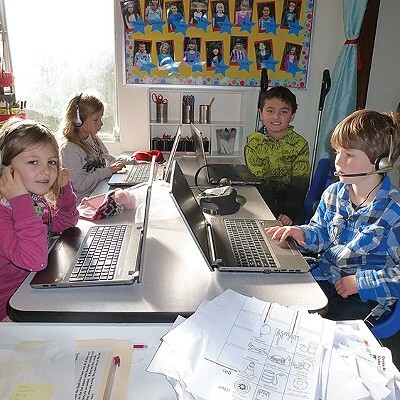 With some logistical shuffling, Redwood Prep was able to accommodate all 102 students who applied to attend when the school opened in fall 2011, and the school's popularity has continued to grow. With enrollment up to 125 this year and 76 kids on the waiting list, Jager said, "We're kind of bursting at the seams at this point." The school added a portable classroom this year, but the electrical system at the church isn't set up to accommodate another one. Plus, with so many students using laptops and iPads, they're bumping up against the limits of the site's bandwidth. There's simply not enough room if the school hopes to add another grade level next school year. 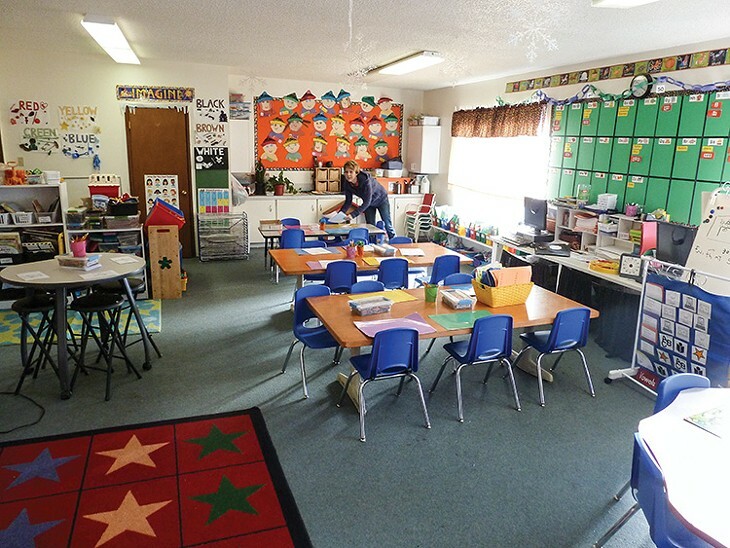 Why are teachers and parents at the traditional schools so opposed to making room? The reasons are numerous, but most are tied to a central theme: inequality. Sheri Rodriguez is a member of the parent-teacher organization at Ambrosini, where her two kids are enrolled, one in kindergarten and the other in second grade. She feels that Redwood Prep enjoys an unfair advantage over traditional public schools like Ambrosini. "Our schools don't have the option to limit enrollment to only those who can meet our ‘rigorous academic standards' or our ‘high behavioral expectations,'" said Rodriguez, quoting the charter school's website. At a school board meeting last month, outspoken Redwood Prep critic Irene Werner, who coordinates the Gifted And Talented Education (GATE) program at the traditional Toddy Thomas Elementary, where her daughter is a student, stood up and described the charter system as "de-facto segregation" and "elitism," calling Redwood Prep "a school not open to everyone." Like all public institutions, charter schools are legally prevented from discriminating. But critics of Redwood Prep and other charter schools say that the system is set up in a way that can't help but breed inequality. As Rodriguez pointed out, Redwood Prep advertises its "rigorous standards," which is a pitch bound to appeal to parents with high expectations of their own. "They advertise themselves as preparing kids for college," Werner said in a phone interview. Parents and teachers at the traditional schools get sarcastic about it, she said. "The joke is, ‘Our school is preparing the future janitors of the world, or the McDonald's workers.' It's almost funny in a way, but it's just a very emotional issue." Then there's the requirement for 30 hours of volunteer time from students' families. Jager said the charter school depends on that help. "We have parents who come and clean our toilets. We have parents who do construction, parents who come and help in the classroom." She said the collaboration fosters a strong sense of family, but does it also weed out blue-collar families? Rodriguez thinks so. "A lot of our parents are working parents and can't afford time off to be in the classroom," she said. There are more hurdles for poor families. For example, Redwood Prep doesn't offer public transportation. Nor does it provide free or reduced-cost lunches to the socio-economically disadvantaged kids who qualify for them. This, according to critics, effectively disqualifies families who can't drive their kids to and from school every day or who can't always provide packed lunches. Enrollment data seems to justify these complaints. As of October 2011 (the most recent figures available), more than 60 percent of students were considered socio-economically disadvantaged in the two districts that have since been unified as the Fortuna Elementary School District. The concentration among the four traditional public schools ranged from Toddy Thomas Elementary, where 44.5 percent of students qualified for free or reduced-cost lunches, to South Fortuna Elementary, where the figure was above 80 percent. At Redwood Prep, meanwhile, just 28 percent of students fall below the income line. Jager counters that her school receives $1,000 less per student in average daily attendance funding from the state. The estimated statewide average ADA funding for traditional K-6 students this year is $6,450, compared to charter school rates of $5,527 for K-3 and $5,603 for 4-6. Other funding comes from local fundraising efforts and grants, including a two-year federal start-up grant of $350,000 as well as a $10,000 matching grant for technology from the Mel and Grace McLean Foundation, a Fortuna-based philanthropic organization founded by the late owner and founder of Eel River Sawmills. Critics such as Werner say other needy kids are effectively discouraged from attending, too, including special education students and children who are still learning English. Again, the numbers seem to bear this out. Last year, more than 18 percent of students in the district were special ed. At Redwood Prep the figure is just 12 percent. The disparity among English learners is even larger. District-wide, 21.7 percent of students are considered "EL." At Redwood Prep only four of the 125 students, or 3.2 percent, are English learners. The Hispanic community has been growing for years in and around Fortuna. In the 2010 Census, the 95540 zip code was 17 percent Hispanic/Latino, with the highest concentration in and around town. Last school year, the student body in the Fortuna Union Elementary School District was 45 percent Hispanic while the more rural Rohnerville Elementary School District south of town was 18 percent Hispanic. Now combined, the district is 31.3 percent Hispanic. Again, Redwood Prep lags behind. Just 13.6 percent of its student body is Hispanic. These trends are not unique to Redwood Prep. In an extensive study published in 2010, the Civil Rights Project at UCLA found that charter schools isolate students by race and class. Across the country, the report found, charter schools have tended to exacerbate race and class divides in their communities. In urban areas, the pattern is for charters to see high levels of minority segregation, especially among black students. Seventy percent of black charter school students in the country attend "intensely segregated minority charter schools," where 90 percent to 100 percent of students are minorities. In more racially diverse western states, including California, the pattern is different. Here, the report found, evidence suggests that "charters serve as havens for white flight from public schools." Just like the student body at Redwood Prep, charter schools in the West tend to have higher concentrations of white students than the communities that surround them. Humboldt County is no exception. Even before Redwood Prep arrived, the report found that our charter schools were 80 percent white, compared to just 69 percent in traditional public schools. Latinos made up just 6 percent of our county's charter school enrollment. In traditional schools it was twice that. The study also echoes Redwood Prep critics by pointing out that English learners and low-income students may not have the same access to charter schools as white and middle-class children, especially without providing transportation and subsidized lunches. As for academic performance, Redwood Prep has excelled. Third graders at South Fortuna Elementary narrowly outscored Redwood Prep third graders in English-language arts on the 2012 STAR tests, and its second graders performed better than the charter's second graders in math. But with those two exceptions, Redwood Prep students outscored students from other district schools in math, English and science at every grade level. According to the UCLA report, extensive studies have revealed "no net academic gains for [charter school] students as indicated by test scores." But for now, at least, Redwood Prep is an exception. Rodriguez said the differences are just too stark. "I'm fine with them being a charter school, and if their demographics matched our district I would not even have a problem with them sharing our campus," she said. "It's just the fact that they're so different and there's so much tension there." Dianna Butcher, who teaches sixth grade at Toddy Thomas and whose kids are enrolled in Ambrosini, is similarly concerned. And she doesn't see any justice in the way Prop 39 entitles the school to facilities. "I just can't believe a group of people can come in and say, ‘OK, now we want this and we want this and we want this, and just get out of our way,' basically, and take away things from kids who really need it the most. You know? I just am appalled." Margie Plant, a third grade teacher at Ambrosini, agreed. "I think we need to maybe review this Prop. 39," she said. "It doesn't seem fair or equal, and the facts are that it's not." The thing that concerns Rodriguez the most is the prospect of students noticing the differences and feeling either jealous or self-conscious. "I just don't think it's good to teach children that they're superior or inferior, and I just worry that if they share a campus that would happen. Let them be at their place; let us be at our place." How have other local charter schools managed to coexist with the traditional schools in their districts? 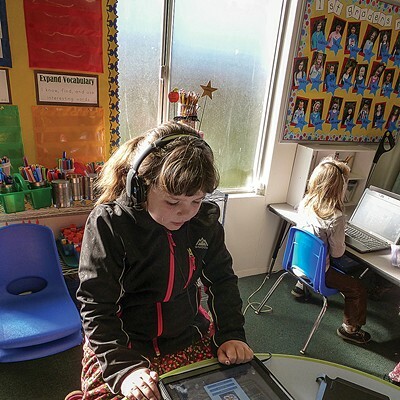 "I would have to say that we have a very good working relationship," said Arcata School District Superintendent Pamela Jones, whose district now has four charter schools. "We've made a really big effort to bring them on board and be part of our team," she said. "They're here to stay, and we need to make the best of the situation." Jones attributes the harmony in part to combined staff-development efforts. "We'll eat breakfast, we'll eat lunch, and people have gotten to know one another. That's made a big difference." When told of the strife in Fortuna, Freshwater Charter School Principal Thom McMahon said he wouldn't be surprised if that's a common reaction to any new charter school. "Anything new tends to have some humps you've got to get over," he said. McMahon's charter school (grades 7 and 8) was created in 1999 to serve students graduating from the traditional Freshwater Elementary (K-6). Those elementary students used to head to Eureka for middle school, but Freshwater residents liked their school so much they helped create a charter to effectively expand Freshwater into a K-8. McMahon said the inherent differences between the charter and traditional school systems haven't caused problems in Freshwater. "I can say this: Our schools actually benefit from that," he said. As an example, he said that the traditional school provided equipment to the shared computer lab that every student now benefits from. "So I really think it's about creating that relationship between the two." But even in the best situations, charter schools can be a dangerous topic of conversation. "It is a testy issue for people," said Julie Giannini-Prevede. She's director of student services at McKinleyville Middle School, a traditional public school, but for a variety of reasons including proximity, social circles and curriculum, she chose to enroll her kids at Fuente Nueva Charter School. "I don't bring it up in mixed company." It's like circumcision, she said. "People have strong opinions about it." Giannini-Prevede sympathizes with parents in Fortuna but expects the tensions will settle down. "With anything new in education there's going to be backlash -- for at least three years, if not five," she said. "Change is hard." She speculated that the low numbers of special ed and English learning students at Redwood Prep might not be the charter school's fault, entirely. "Generally speaking [traditional] public schools have more resources for special needs kids," she said. Families with disabled students who require individualized education programs (IEPs) often form relationships with resource teachers early in their child's life and don't want to sever that bond. Garry Eagles, the county's superintendent of schools, said there may be a similar dynamic at play with English learners. Yes, there are more of them at Fortuna Elementary School District's traditional schools, he said, "but I don't know if that's necessarily by design of Redwood Prep as much as by the support system provided in the Fortuna program. I mean, they have a lot more resources devoted to [EL] students." Eagles also said that concerns about Redwood Prep siphoning off the best students should be put in perspective. "There is a perception that kids are being stolen away, and in some cases that might be true," he said. "But that is the purpose of charter schools, is to provide competition and options for parents." Still, there remain questions about whether those options are available to all parents. Last year, Redwood Prep was visited by a two-member inspection team from the Charter School Development Center, a nonprofit group that serves as an approved review board for the California Department of Education. The inspectors spent three days at the school, examining documents, visiting classrooms and generally "taking the temperature of the school" to make sure it was abiding by the guidelines laid out in its charter, said Eric Premack, the organization's director and founder. That charter, a 96-page document, lays out strategies for achieving a broad range of goals, including serving and recruiting English learners, low-achieving and economically disadvantaged students. How did the inspectors feel the school is doing? "Their impressions for the school, particularly for one this new, was that they've made a ton of progress and they're doing quite well," Premack said. When it comes to demographics, he said, what's important is making sure that charter schools are making "good faith efforts" that align with the promises laid out in the charter. And he said the situation in Fortuna is a common one. "It's not uncommon for folks in the traditional schools to get a little freaked out" when charters ask for facilities, he said, especially when resources are in such short supply. "In some localities these become brutal knock-down drag-em-outs" that wind up in court, he said. Administrators in Fortuna are hoping it doesn't come to that here. "We want to collaborate in every aspect," Jager said. "If there are things that we could possibly offer the other students, we will make every attempt to do that -- and vice versa. It's all how you approach it." 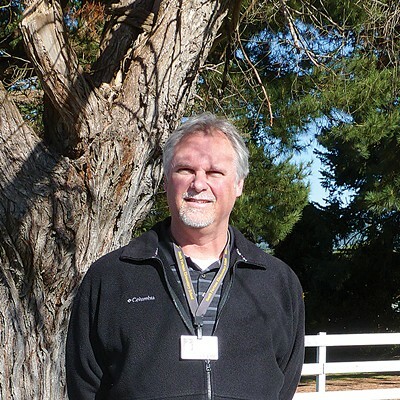 Jeff Northern is principal of South Fortuna Elementary School, and he's currently serving as chair of the committee that's trying to figure out how to grant Redwood Prep's facilities request. "We're taking a look at everything. We're brainstorming every option that we can conceive of," he said. That includes looking at Fortuna Church of the Nazarene to see if Redwood Prep could possibly stay at its current site. The committee will present options for the district school board to consider. The board will then make an offer to the charter school, probably within the next month, Northern said. "I think demographics will work themselves out," said Redwood Prep School Board President Jeremy Stanfield, who works as a realtor locally and serves as another member of the facilities committee. "We haven't had a chance to become a familiar part of the public education system." Critics remain upset about the inequities, and some wounds aren't likely to heal anytime soon. "I've seen a lot of friendships destroyed," said Butcher, one of the Ambrosini moms. She's worried about her kids -- that they'll feel inferior, that they'll lose space at their school, that they'll be overlooked in classrooms packed full of kids. But of course, don't all parents worry about their children? "I try to keep the focus on the kids, because the emotion is all coming from adults," said Hafner, the district superintendent. "We need to realize that regardless of how we feel about charter schools, we are one community, and these are all our kids. So we've got to come to some solutions."